Congratulations on buying your first home! You can now transform your house into the house of your dream. Most of the house owners prefer to engage interior designer to let the experts design and focus on other life priorities, but you chose to design and renovate your first home. Not only you get to save money but you got to add touch and designs that you have longed for into your new home. If your first home is a HDB unit, you have to be careful and familiar with the HDB guides as there are regulations which you will need to follow. But, if your first house is a condo in Queenstown, you can do as you please. 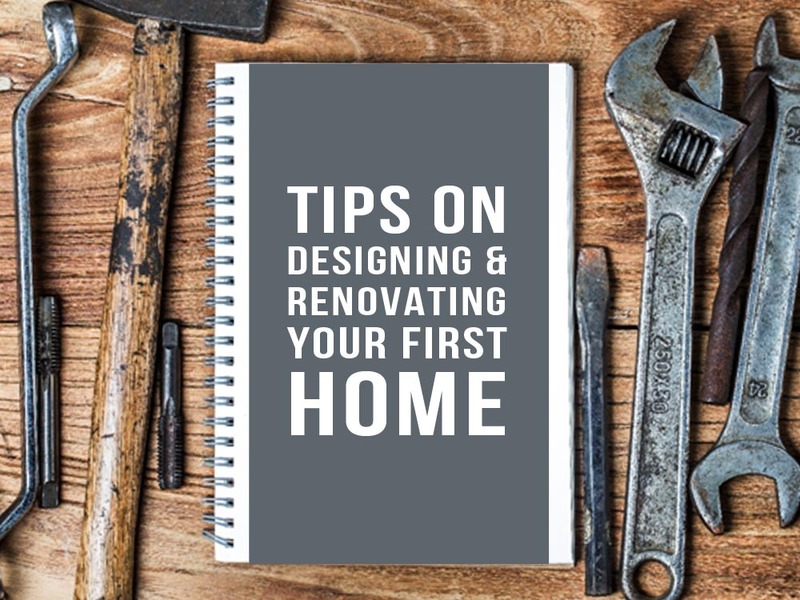 Here’s some tips for designing and renovating your first home. Pick a colour scheme by creating a palate of your favourite colours, from the wall to the flooring to the furniture that will complement and suit your mood. Do you know the colours of your walls in different rooms set different vibes and moods? For example, choosing baby blue for living room sets a calm and relax mood, yellow or orange colour is help increase appetite in the kitchen or dining room and so on. In fengshui, it is believed that the bright colour used at home brings positive qi and dark colours, like black, darker brown or grey, brings negative qi as it sets gloomy vibe in the room. Dark colours are often associated with death and dull, so prevent dark colours at home. There’s even a guide for home colour scheme and their significance purposes. It is important for the house to look bright as it feels homely and warmth, lighting really plays a big part for the house. Although day time we can rely on the natural lighting from the windows and the bright colours that enhance the brightness but how about night time? You will need to install some lights in each room and you can mix and match the lights to get brighten up. It even helps to serve as a decoration with the light they emit to shine on your furniture or enhances the interior feels with the lights as the deco. Be sure to know the lights’ direction if you want to light up certain dark spot in the study room or living room. On living room’s lights, check the number of lights needed based on the size of your living room. If it’s big, add some lights to brighten up and you can use bigger lightings like chandelier. For smaller rooms, you can use compact spotlights as it looks better. Storage is important to keep your things organized and hidden. You may want to consider installing built-in cabinets in your condominium though some developer may have provided cabinets. This particular tips will cost you more as the cabinets would need to be measured by your contractors to fit your kitchen, bedrooms, living rooms and etc. However, costs can be flexible depending on the materials used, colours and quality. As for the kitchen island, it’s getting trendy to build a kitchen island in the house as it strengthens the bond by using an open concept. Be sure to get trustable contacts from family or friends to recommend the best contractors around your area. You can add more storage to your kitchen island, now that’s what we call space efficient. Adding carpets in your room to create a focal point elevates the style of your house’s floors. Not only it gives warmth and texture, it also adds a psychological divider as well especially in between the living room and kitchen or dining room. It adds comforts to your life too. For bedrooms, you can pick some stylish and softer ones to soften the mood. Bold ones are more suitable for living rooms that enhance the liveliness and activeness as it brings the jolly and active moods. Again, if you’re choosing carpets, make sure it is going along with your colour palate so your carpets don’t look awkward. If your condominium is in Queenstown or Changi, take a quick stroll to IKEA to get inspired for your furniture arrangements with different themes. Your choice of furniture decides your taste and style of your house. Do not skimp on sofas as it is one of the main piece the moment you step into your living room. Get a decent sofa set that match your colour palate or the theme you set for and make sure your coffee table matches your sofa set. Besides, place some antique wood décor or furniture to uplift the style of elegance and soften the modernity of your home. For instance, get a worn leather couch, rustic coffee table and rug to bring the warmth to a white space – see how the furniture matches the wall colour. That’s how you should match it. Another instance, you can use marble top table to match your light blue or light green wall to give it elegance style. Have fun designing your first home! Im not that expert or creative to choose concept especially colour or design, normally i just hire the expert to do on behalf me..hahaha..that bad ha..agree with Hasif..nowadays concept minimalis is the most popular and i'm thinking to change and do minor reno with that concept.. Tips yang sangat bagus untuk mereka yang nak masuk rumah baru. Kekadang bila tengok rumah orang cun design sekian sekian tapi bila try apply kat rumah sendiri macam tak kena. Kena panggil expert jugak la. Nice tips. Mmg kalau nak decorate rumah tu kena tengok dulu kesesuaian dan cita rasa. Bal are more too yg simple, nice, dan soft gold adalah warna fav, sebab nampak grand dan mewah. I usually will refer to magazine for some idea on how to decorate my house. I need good lighting so that I can use it for photo. You know, as blogger lighting is important to us so I seldom buy yellow lighting at my room. Kadang-kadang sampai diri sendiri pening nak pilih dan sesuaikan warna apa. Biasa memang selalu dapatkan inspirasi dekat IKEA tu sebab cantik sangat susun atur, color scheme etc. Kalau senang ada duit banyak tiru je bulat2 macm tu. Hehe. There's so much things to decide the design, concept, budget n etc. Ikea is one of the biggest funiture shop that provide varities of concept dat we can design ourself n referring to our budget. kipas kami ambil yang modern look with 5 bilah..
Great tips there, I love designing my own home and I'll take the time and effort, these are really good points to consider. Sis tak mahir sgt bab design2 rumah ni..senang pakai interior designer je tapi cr yg murah2 je lah..hehehe. Thanks for the tips ! Insyaallah nanti rumah pertama tak perlu upah interioir designer sbb smua pon boleh buat sendiri kan . This would be so my tips for my soonest dream home (well its far to go). Maybe i start saving up money for my future home and follow these tips.